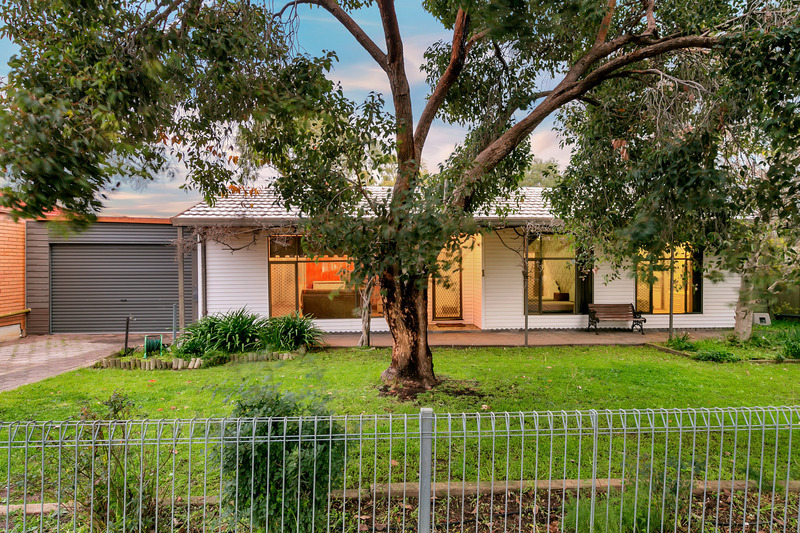 Built in the early 1960’s this timber frame, weatherboard home stands on 920m2 approx of valuable land amongst other newer homes, ideally positioned only a stones throw from the new Northgate development. 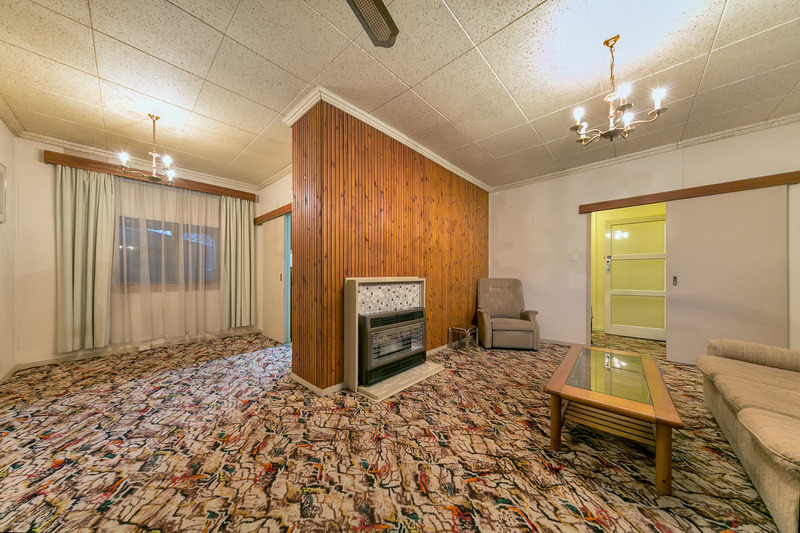 The original condition home could easily be purchased with the intention of moving in, or demolish to build your dream close to the city. 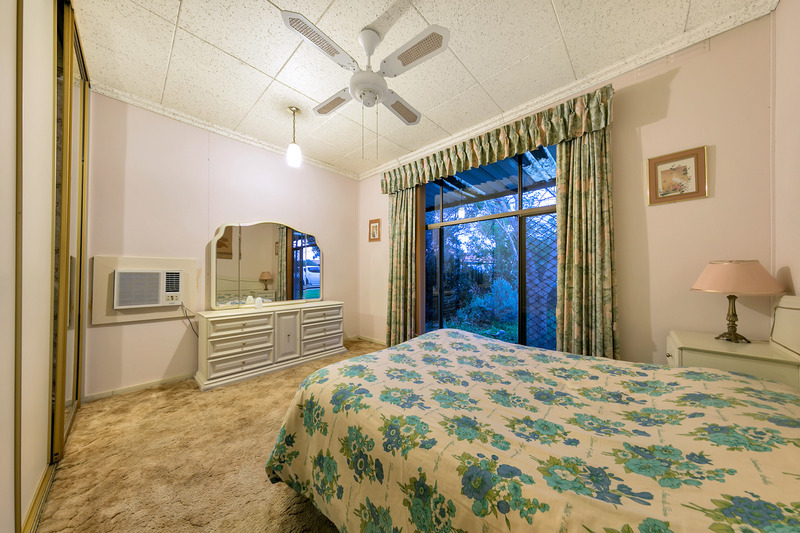 The current home consists of 3 bedrooms, two of which have ceiling fans and built-in robes, master has a small air conditioner. 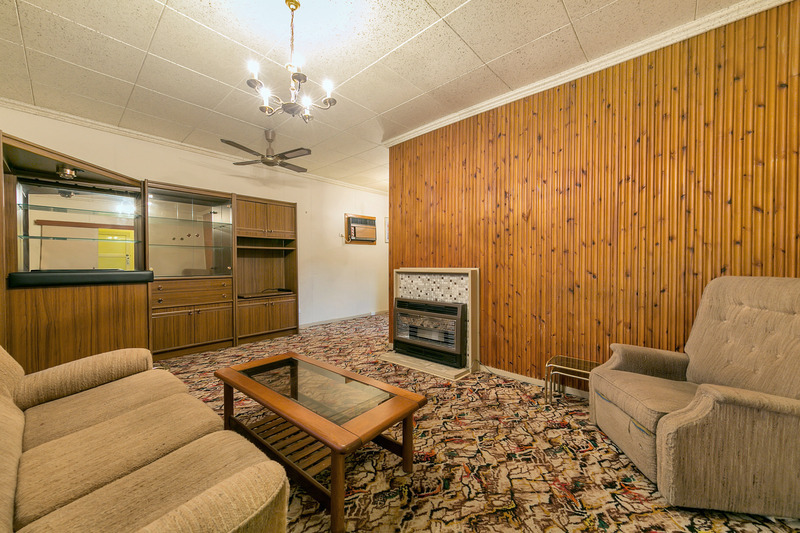 There is an L shaped lounge dining with timber panelling, ceiling tiles and carpet. 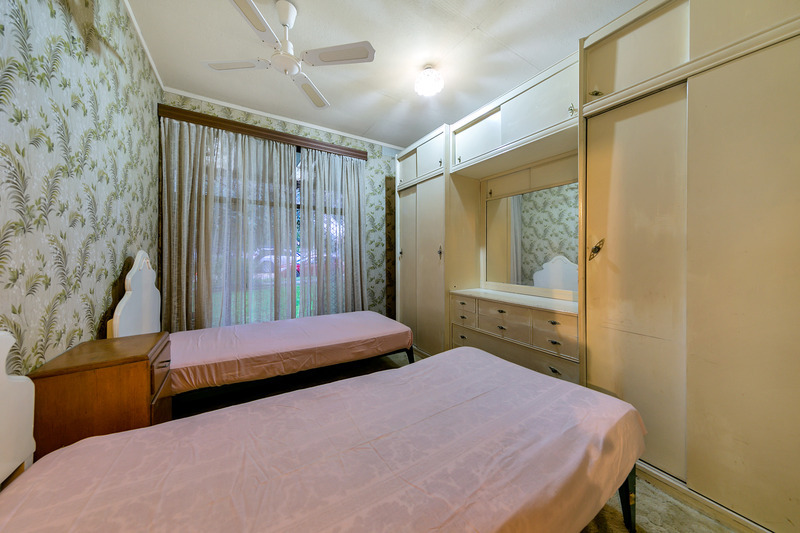 A classic oil heater and an older air conditioner provide climatic relief. 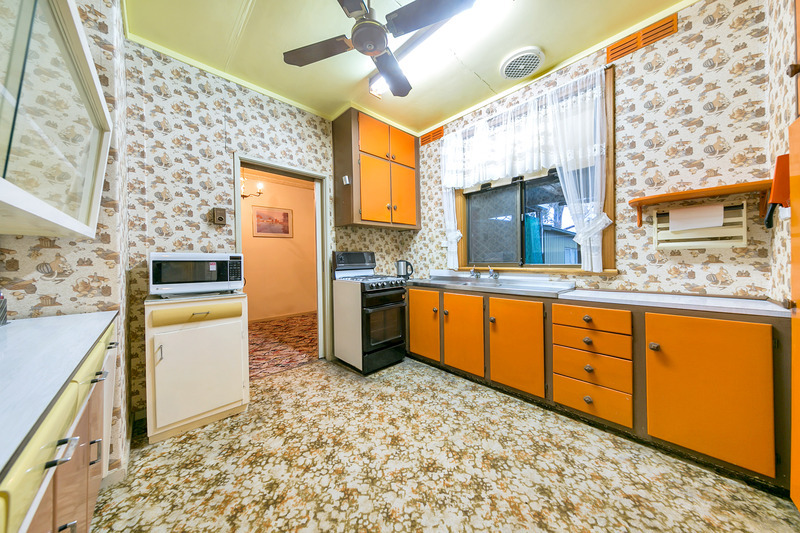 The kitchen has a stunning wall paper finish, original cabinetry and kitchen carpet floor. A separate laundry and bath with corner shower/ bath are functional wet areas. 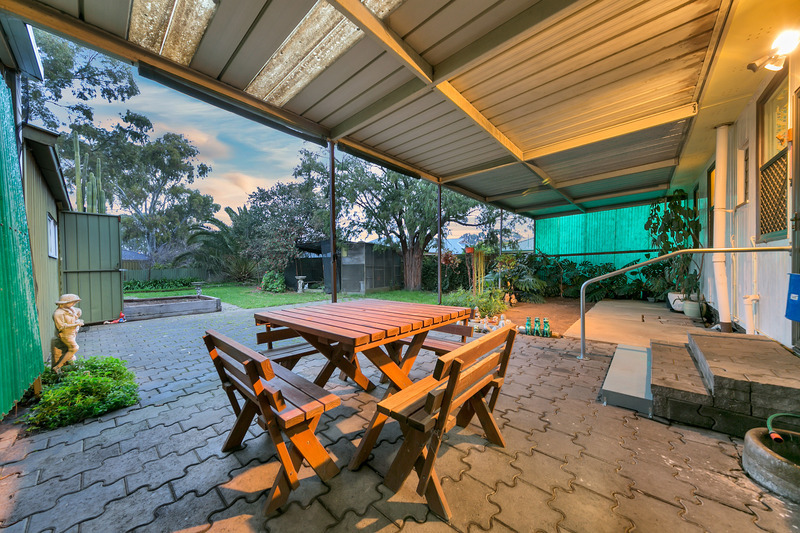 Outdoors has a good size carport with auto roller door leading to a large paved verandah that would make a decent entertaining area. 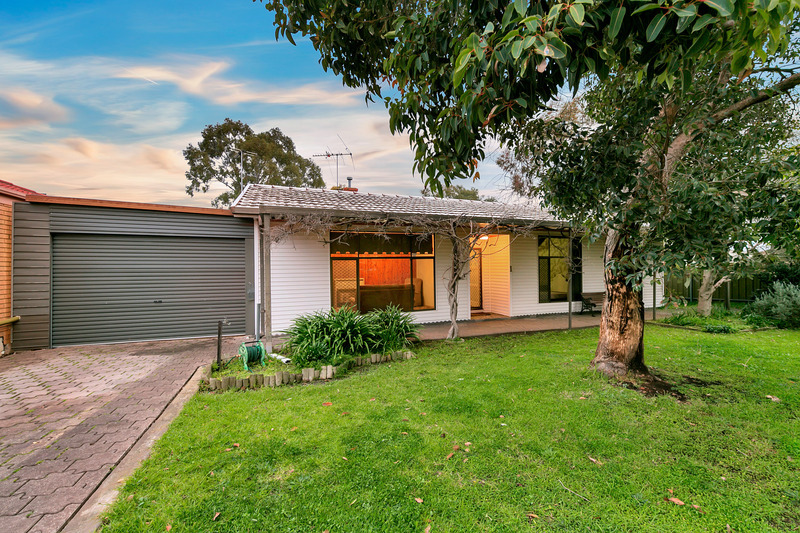 A double garage and a 6m x 3.6m work room complete the structural components, then it’s just land, land and more land, garnished with the occasional fruit tree. Sited on an irregular block, the home itself is surrounded by newer buildings making it an attractive development site (S.T.C.C.). 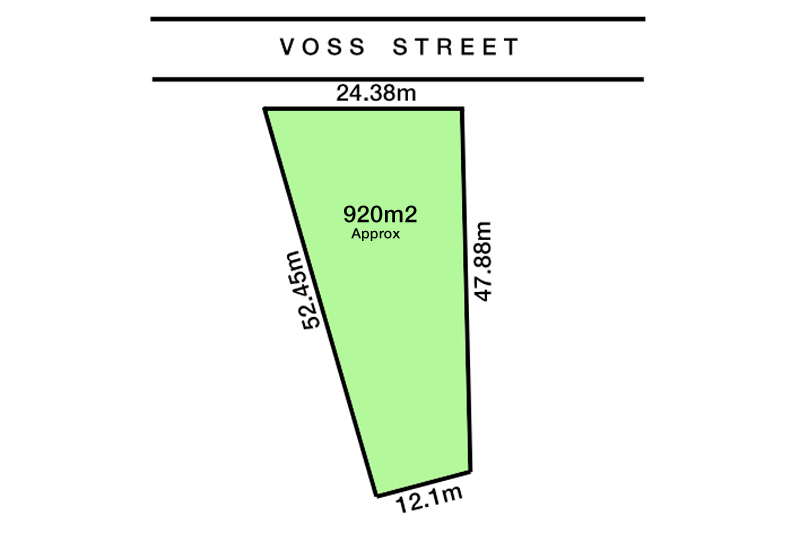 Gilles Plains Primary, Cedar College and Heritage College are all in the local neighbourhood as is the North East Community Children’s Centre, Windsor Gardens Secondary College and TAFE SA Gilles Plains Campus. Start planning your future now, this one won’t last long!